THE RECOMMENDATION: This third entry once again brings positive and incremental change to the Fast and Furious franchise. Tokyo Drift features a completely new set of characters, a new locale, and a new kind of racing (drift vs. drag). It also brings in yet another new director, Justin Lin, who makes the film much more nuanced and complete than the previous two. This is still not a terrifically scripted drama or action film, but it now at least checks off the action portion you would have thought belonged with the franchise since the beginning. 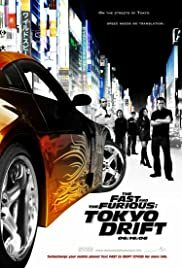 The cars, races, and locations for all surpass the minimum requirements that kept the first two films watchable and bring Tokyo Drift into “fun to watch” territory. And even though story-wise there’s still room for improvement, it’s got a fully fleshed arc, decently written characters, and conflict that’s more than just “cool car bro”.